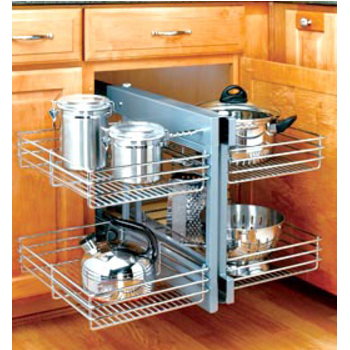 Heavy-duty steel crafted base cabinet organizers that pull-out and close with ease in a wide selection of styles. 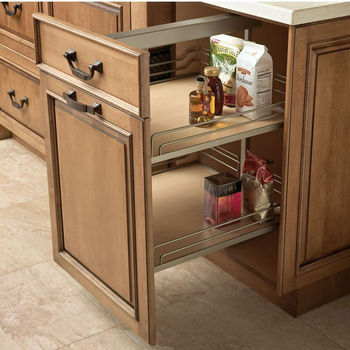 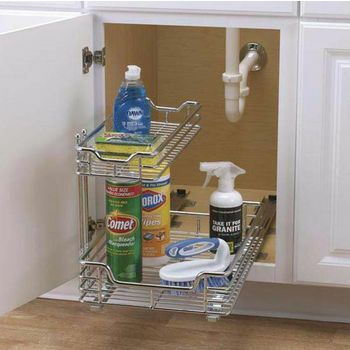 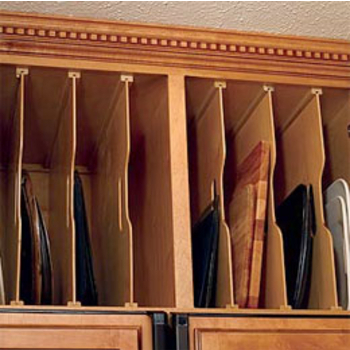 Rev-A-Shelf offers a large variety of cabinet organizers in many styles to choose from. 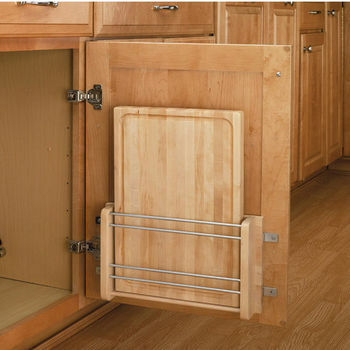 National Products offers high-quality solid wood base cabinet organizers to enhance storage potential and the look of your kitchen. 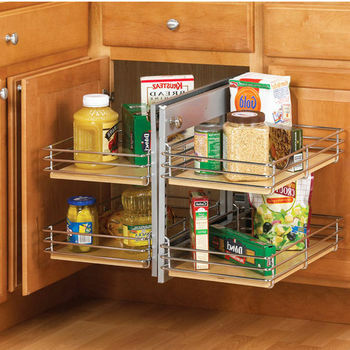 A wide variety of base cabinet storage solutions for the kitchen crafted from heavy-duty chrome wire and wood materials. 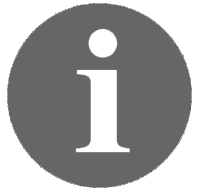 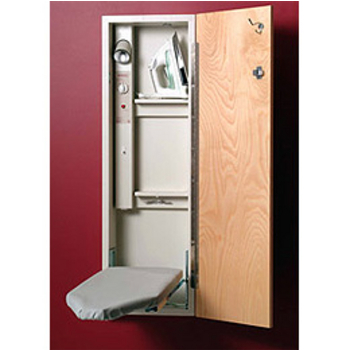 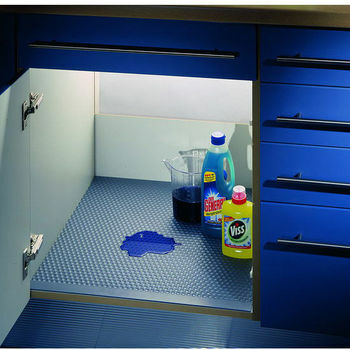 The Non-Slip Mats prevent stored items from sliding around inside cabinets or pullout units. 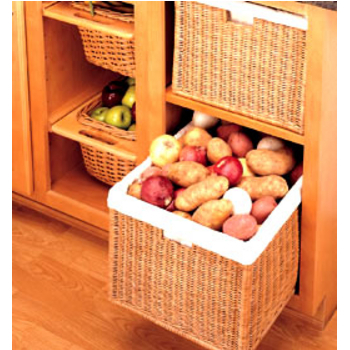 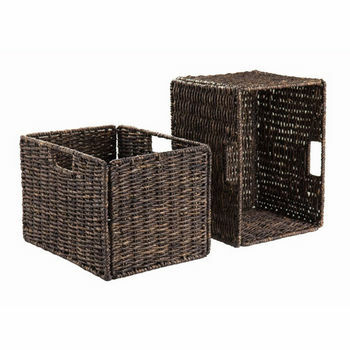 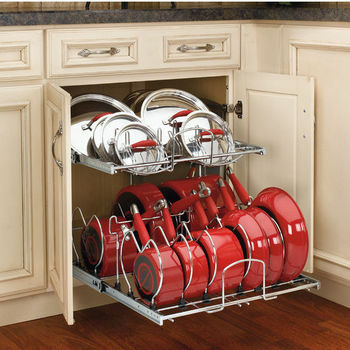 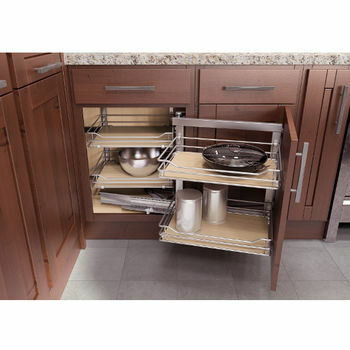 Lazy Daisy by Rev-A-Shelf base cabinet organizers range from wicker baskets to blind corner systems. 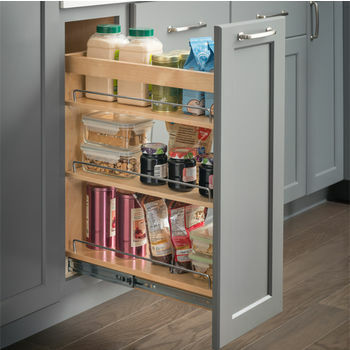 Something for every kitchen. 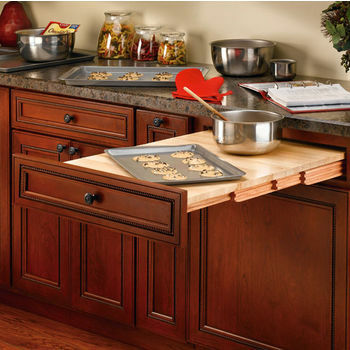 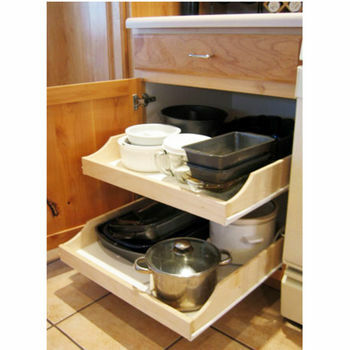 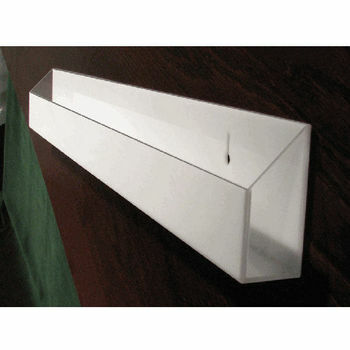 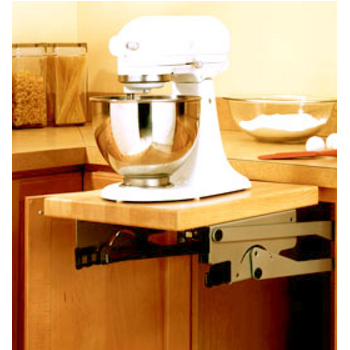 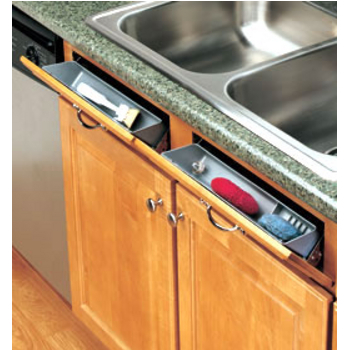 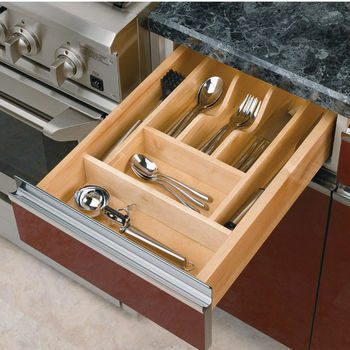 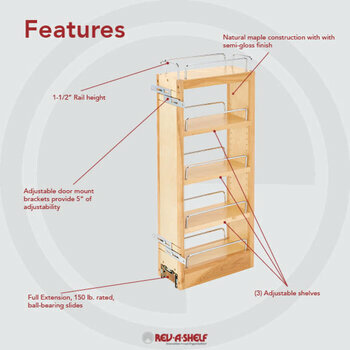 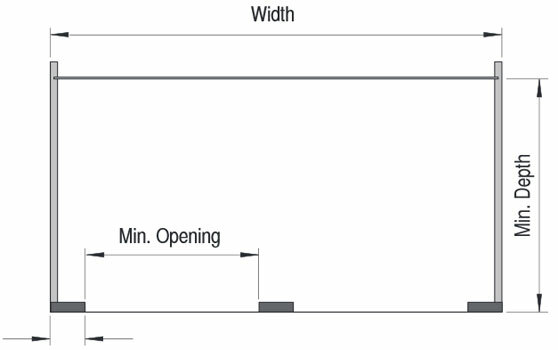 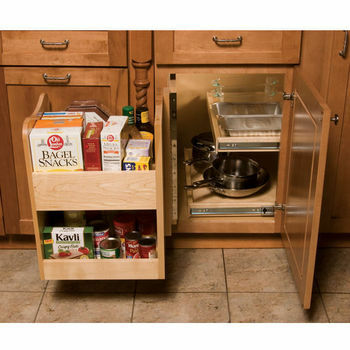 Rollingshelves offers finished and unfinished pull-out drawers in a variety of sizes to fit most cabinets. 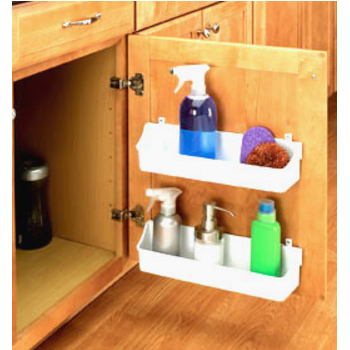 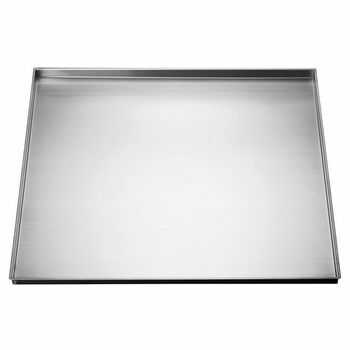 Transparent Inserts crafts high-quality sink-front trays to store everything from sponges to soap bars. 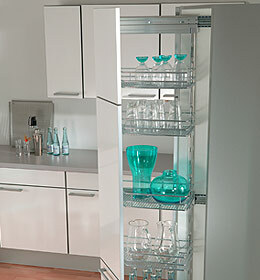 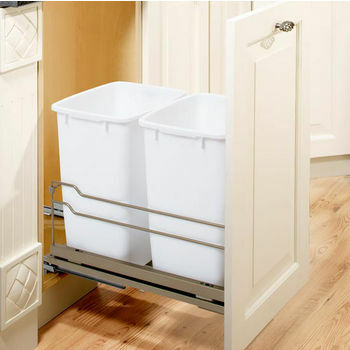 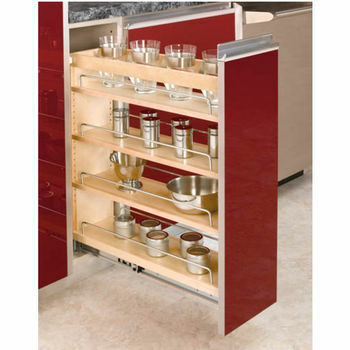 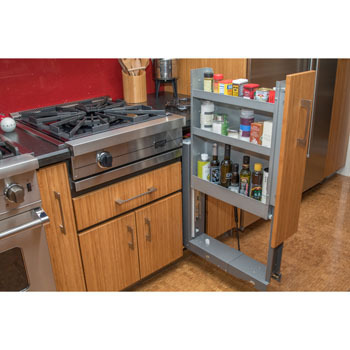 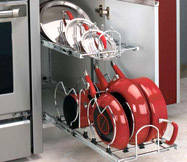 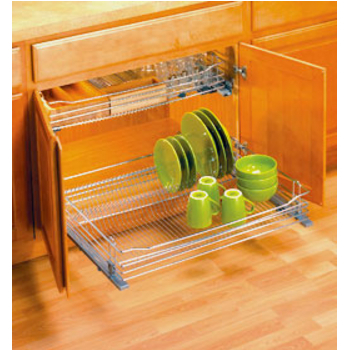 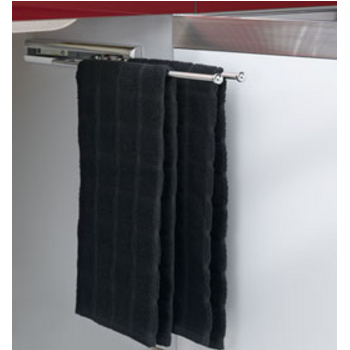 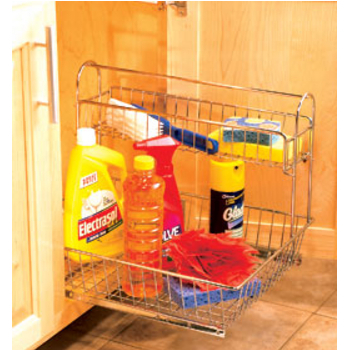 Reclaim storage space with Vauth Sagel's range of blind corner pull-put base cabinet organizers. 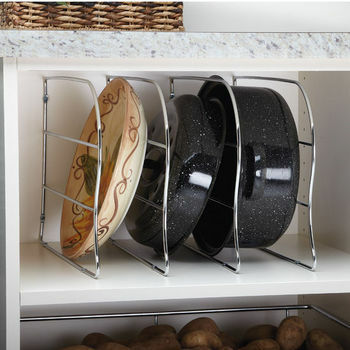 Constructed from heavy-duty metal wire, these Household Essentials base cabinet organizers are available in single or multi-tier styles.